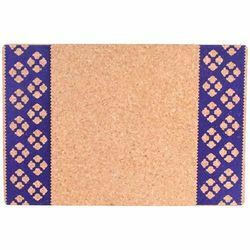 Prominent & Leading Exporter from Mumbai, we offer cork table mats( set of 4), cork warli red print table mats, cork warli print table mats, cork floral table mats, cork floral table mats set and cork madhubani table mats. 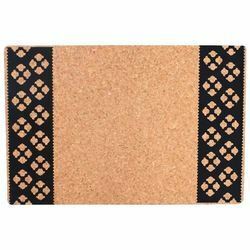 With the help of experienced and skilled professionals, we are offering to our valuable clients a wide array of Cork Table Mats that are demanded among the clients to meet their requirements. These products are made from quality approved basic material. In addition to this, these are quality tested in nature and delivered in well-defined time frame. • Cork is stain and water resistant. • Cork is very easy to maintain as new, just need to clean with a damp soft cloth. 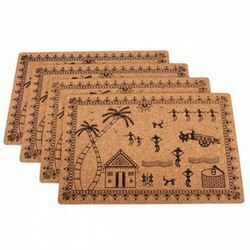 With the precise knowledge and expertise of the relevant industry, we introduce ourselves as leading organizations in offering Cork Warli Red Print Table Mats that can be available in different sizes. The offered assortment of product is designed by our experienced professionals in various attractive designs to cater clients' specific requirements. Also, these products are offered to the clients within committed period of time. 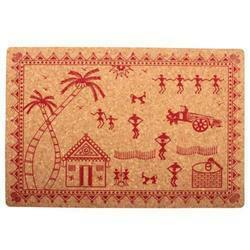 With the support of astute professionals, we are involved in developing best quality Cork Warli Print Table Mats. 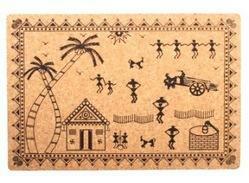 Keeping the exacting client needs in mind we present the most exclusive Warli patterns of tablemats that are ideal for both rustic and contemporary décor at homes and hotels. 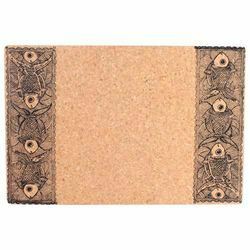 These tablemats feature our finest craftsmanship and owing to the recognized vendor base we assure to deliver 100% animal free and environment friendly product. Further, we stock a beautiful collection of tablemats in varied sizes and prints that can be ordered at a leading price. 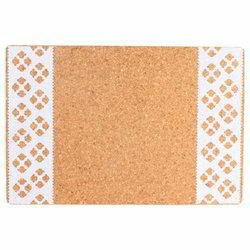 We are well acclaimed as reliable firm offering highly demanded Cork Floral Table Mats. We present an innovative range of highly soft and durable table mats that are becoming the preferred choice for our prestigious clients from homes, hotels and restaurants. These tablemats are made from eco friendly raw material and are 100% animal free. The cork is procured from allied vendor base and the finished product is rigorously tested by our quality experts. 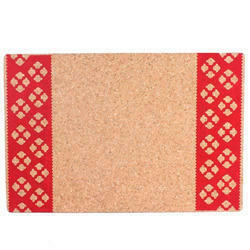 Further, we are providing the trendy designs of tablemats at a leading price. We are offering a wide array of Cork Floral Table Mats Set that is available in various sizes, designs and patterns to meet the specific demand of clients. These products are manufacturing using excellent quality raw material and latest technology. Widely acknowledged by the clients for their fine finish and high strength features, this product can avail from us at reasonable rates by our valuable clients. Our client can avail from an optimum quality assortment of Cork Floral Table Mats Set which is available in both large and small sizes. With our attractive design, we have created and maintained broad clientele and offering all our products with complete quality assurance at competitive market price range within the committed period of time. Looking for Tableware Tablemates ?